Back when “organic” and “all-natural” first became a trend for companies and consumers, it usually also was a sign of a high price tag. Now, with the demand for cutting chemicals and living greener lives that are better for both us and the environment, organic products are more competitively priced than ever before. When you talk about organic products, usually food is what comes to mind. However, there are plenty of other everyday household items that you can swap out for alternatives that are healthier for your family and the environment. Check out some easy swaps below – chances are, you’ll love making the switch. We’ll start with the obvious and look at what’s in your shopping basket. It can add a lot to your grocery budget to buy organic, and it’s not always a choice for everyone to buy all organic. However, there are certain grocery items you should try to buy organic when you can. Generally speaking, foods you should consider buying organic include those with an edible peel, such as apples, tomatoes, and berries. These foods consistently test higher for pesticides. Unfortunately, this isn’t always the rule – other produce on the “dirty dozen” list of high pesticide levels include peaches, potatoes, and celery. Whether or not buying organic produce is an option for you, be sure to thoroughly wash your produce. Run produce under cool running water, gently rubbing the skin. For firmer skins, such as on melons and potatoes, lightly scrub with a firm brush. If you’re prepping produce with lots of nooks and crannies like celery or broccoli, soak in a bowl of cold water for 1-2 minutes. Finally, for more delicate produce like raspberries and mushrooms, mist with water and gently dry with a paper towel. 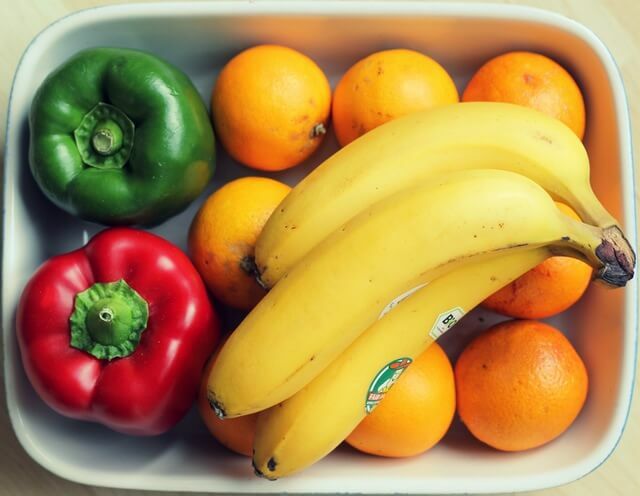 Remember, even if you’re going to peel your produce, you should wash it first – as you peel, you’ll transfer whatever is on the outside to the inside. Feeling a pinch in your wallet? There are some items you don’t need to buy organic if you aren’t able to. Some of the foods with the least amount of pesticides (known as the “clean 15”) have thicker protective layers, like pineapples, corn, onions, and cantaloupe. Again, this isn’t a one-size-fits-all rule – some other foods that are fine to buy not organic include asparagus, papayas, eggplant, and cauliflower. Did you know that the benefits of buying organic extends to your bed? If you’re concerned about what’s going inside, shouldn’t you be concerned about what your skin is touching 40-50 hours a week? The fibers used for non-organic sheets are likely treated with pesticides, just like your food. Then, during the production process there are all kinds of chemicals sheets can be treated with, whether to give a certain texture, prevent wrinkles, or prevent shrinking. Organic sheets are not treated with chemicals, and because of this they’re much softer and better to sleep on. While the chemicals are used to soften an inferior base material, organic sheets start with a better product that does not require all those chemicals in order to soften the finish. An organic sheet, like those made from bamboo, offer many benefits aside from keeping chemicals off of your skin. The anti-microbal nature of bamboo sheets keeps you cool and prevents bacteria growth, leading to the most comfortable sleep. Many choose organic cleaners when they have small children or pets in the home, but anyone can benefit from cutting some of the chemicals from your cleaning routine. If you’re worried things won’t clean quite as well as their caustic counterparts, then try the greener lines by major brands. For instance, Greenworks Free & Clear laundry detergent has the stain-fighting guarantee of the Clorox brand, but without the chemicals that will fade your clothing or residue that can bother skin. Need brighter whites? Greenworks even has a chlorine-free bleach in their line of products that are safe for you and the environment. Chances are, even your local grocery store likely has a selection of organic cleaners and household products. Check out the websites of products you want to try and see if you can print off a coupon before trying out new products. If you’re ready to take the plunge to really clean the chemicals out of your home, try a service like Honest where you can bundle everything from dishwasher detergent to diapers, floor cleaner to fabric refreshers. If you’re not buying produce with pesticides, why would you keep putting it on your grass? We know, pests can be a pain, and no one wants weeds taking over their backyard. However, it is possible to maintain a chemical-free yard and still have it look great. 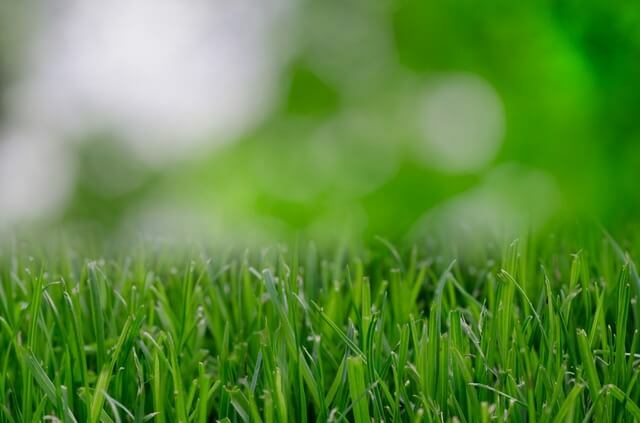 Many traditional lawn care prioritizes the look of green grass while ignoring the effects on the environment, including draining nutrients from the yard and emitting chemicals that can be harmful to pets, birds, and other animals in the yard. One of the best choices you can make for a safer yard include choosing organic fertilizers. Rather than feeding the plant and leaving behind chemicals in the ground around them, organic fertilizers also help improve the soil. By strengthening the soil, your plants will grow stronger and require less feeding down the road. Also, do your research on which types of plants are best for your area. For instance, many choose Kentucky Bluegrass for its luster, but it requires a lot of water…and incidentally, a lot of treatments. Consider trading out some of your grass for pavers, river rocks, or mulch to cut back on the sheer surface area that needs to be treated. Finally, this may not be a popular choice for you (or whoever does the outdoor chores), but one way you can cut down on your footprint is to do things the old fashioned way. The emissions from an hour of using a leaf blower or gas mower can match or exceed that which your car emits in a week of commuting. Plus, again, these emissions are going straight into the air and the soil. You know the myriad issues presented by single-use water bottles, and you’re trying to help by using reusable bottles for when you’re on-the-go. But are you choosing the best kind for you and your family? You’ve probably heard that older plastic containers often contain a chemical called BPA, which is linked to breast cancer in women. While almost all plastic containers made for children will be BPA-free, you might not be so sure about your own bottles if you’re still using an older one. The safest bet is to choose a stainless steel bottle or one you’re sure is BPA-free. While you’re at it, you may want to recycle any hand-me-down plasticware containers for newer, safer versions. Also, if you do end up in a situation where you’re drinking from a single-use water bottle, be sure to recycle after use rather than reusing it. While reusing sounds like the best option for the environment, it may be a bad idea for your own health. First, because of the narrow neck and ridged design, it’s hard to clean and can easily grow bacteria. The other issue is the material they’re made from, polyethylene terephthalate. These are made for a single use, and over time the plastic degrades, leaking a chemical known as phthalates into the water. While the CDC doesn’t yet know the effect phthalates have on the body, we’d rather play it safe.